"Terrible Tech Support & Service Reliability"
We require days or even weeks to get simple issues resolved. The turnaround time is hours or days between a support agent asking us for information (which we provide immediately) and them getting back to us with anything other than speculation that the issue is not on our side (we must've broken something). On two issues, we discovered that our problems were due to a fault on their side (to which we have zero exposure), and both times, it was like pulling teeth to get any acknowledgement. Almost all of our other support experiences have been equally unsatisfying ... some were even closed without resolution/explanation. Once or twice, we had a good support experience out of about 20 I can recall. Very little accountability. My CSM even criticized my use of 'CDI' in reference to ClickDimensions ... said that was 'confusing' even though that's what many customers and CDI employees refer to it in text. Also, Email Statistics were BROKEN for years and still have issues. Issues are less frequent now, but getting them resolved is a real chore, because each and every time, we need to basically argue with their techs that the issue is not our 'fault' but rather on the CDI side in most cases. Our data is in a "black box" on the CDI side, and they often fail to deliver or provide explanation, even upon explicit request. Full disclosure: We did once have an 'issue' that was purely our own fault, and we did press them a bit as if it were a CDI problem. I apologized profusely. It needs time to more fully mature; although, it is much better today than it was a year ago. They need to drastically improve their customer service results and accountability. They are all 'nice', but that means little when they lack accountability or get defensive or insinuate that they don't have much respect for their customers as evidenced by their tech-support follow-through, explanation, and accountability. Also, this product is married to Microsoft Dynamics CRM and will live or die by that platform, which has many of its own issues. Full disclosure: The application and service has been working much better since late 2017; however, a service failure caused by a CDI "feature issue" (vague, right??) that took 4 days for them to acknowledge is why I am taking the time to write this review. "Weak Product No Support "
The only value is that it is native to MS Dynamics. None, we cancelled our service. Click Dimensions won't solve your problem, they will add to your problems. "Easy to get going - but several limitations"
ClickDimensions being a solution in Dynamics 365 means direct access to data and very easy to use for marketing departments being used to the product. It's very easy to get going with ClickDimensions. Emails, advanced campaign automation, webtracking etc are just a few clicks away once the product is installed. Many features are lacking depth and flexability, which means that especially personalized content is difficult to create. While ClickDimensions is installed into Dynamics 365, it doesn't feel like data is being utilized very well. There's no segmentation beyond the existing margeting lists. Most of the time only data existing in fields directly on the contact, account or lead entities can be used. You can get really far, very quickly and for a low price with ClickDimensions. Be aware of limitations in segmentation and personalization. Advanced campaign automation flows for new customers. Improved data quality on customers through custom forms. "Native Dynamics 365/CRM Marketing Automation"
ClickDimensions natively integrates to Microsoft Dynamics 365/CRM so we can work within one application. We can also get analytics and business intelligence from email campaigns directly in Dynamics. Our online forms are integrated to ClickDimensions so our lead and marketing automation is automated. ClickDimensions is also fairly easy to use, even for a non-technical person. The biggest things we dislike about ClickDimensions are the customer support, lack of customized templates, the customer survey features is poor, and the limited or lack of integration with custom entities. If you are looking for an easy marketing automation tool for Dynamics, then ClickDimensions is a great fit. If you are looking for something more advanced with a lot of features and functionality, then ClickDimensions is probably not a good fit. We have a native tool for marketing automation within our Microsoft Dynamics 365/CRM system. We can track leads and customers within one application. "Convenient, but lacking in features"
The native integration with Dynamics CRM is what sold me. It's definitely convenient having everything in one place. -Not very responsive, and in some cases not very knowledgeable. There have been a few cases where I had to explain something several times because their response was not helpful. -Definitely lacking on some of the features, compared to other solutions. In some cases it's shocking what it doesn't do or doesn't do well. It's definitely convenient having a marketing automation tool that works natively in Dynamics CRM, and that was a huge selling point for me. However, its features are definitely lacking compared to other solutions, and in some cases shockingly so. They have a lot of improvements to make, including their survey tool, campaign automation, and A/B testing. I also seem to have a lot of technical issues I have to work through with them on a monthly basis. The native integration with Dynamics CRM is extremely valuable. With our previous tool, we needed a third-party tool to sync leads from the marketing automation to CRM, which cost us extra money. Having everything all in one place is very convenient. "Click Dimensions is an adequate email tool with CRM integration." Integrating with our CRM, Microsoft Dynamics 365, is very appreciated. The email builder works well and metrics come out in a usable format. Marketing lists, in that I cannot upload them as an excel directly or it would make duplicate contact records in our CRM. Instead, I have to add people manually, on by one, or send over to IT to run various back-end workflows to upload them (uploading and merging with existing contacts. Some metrics like viewing open rates and click-through-rates by organization/account level, are unavailable (which I have contacted Click Dimensions about). Compare to other email campaign tools. If you don't need CRM integration, then Constant Contact is likely a better option in terms of overall value. IF you're looking for a CRM and email tool all in one, HubSpot would likely be a better choice. A tool to create, send, and analyze email campaigns making use of contact records in our CRM. The effortless integration with Dynamics CRM is first on my list of likes! There is nothing more frustrating than having to keep seperate databases in sync. I like the way we get a 360 degree view of our clients all in one place! Love how easy it is for anyone, even a non-tech to design beautiful html mailers, webforms, subscription forms and landing pages. The fact that we cannot simply use custom or other entities to create webforms on. To update custom entities right now takes a tremendous amount of effort to implement workflows to do that for you. It is also very dissappointing that the event management entities are not related to the email send or form functionality, it would have been really useful if we could use a Clickdimensions form to create event responses without needing a hectic workaround through workflow or custom plugins. Same goes for events: it would be very useful if we could draw from an event record details to merge into an email send so the event management process and its communications can be automated much more. Highly recommended. This is the full service marketing automation solution. We are able to communicate with our database effortlessly without needing to keep an external database in sync. We truly get a 365 degree view of our customers and can study recipient behaviour to our communications and use that information to help improve our campaigns. "ClickDimensions works great for us and our clients"
We use ClickDimensions primarily for email broadcasts and tracking click back data of prospects and clients. Web analytics are very useful as well. The solution and all the data reside within Dynamics 365 so it's very easy to access -- no connectors needed. Also the people there are great. Very responsive before and after the sale. We are technology consultants and recommend it to our clients. Feedback is very good. Honestly, I don't have anything major to complain about. If you are using Dynamics 365 or CRM this should be the first marketing automation solution you look at. Works 100% inside Dynamics 365. Price is reasonable. Training and support resources are included with the cost of the software. We need to use email marketing to attract leads and stay engaged with clients, e.g., invitations to webinars and monthly newsletters. ClickDimensions is a great tool for that. The email templates are easy to create and reuse. Saves time for me because I wear many hats around here. "Click Dimensions with MS Dynamics 365 / Dynamics CRM"
All in one customer profiling inside of Microsoft Dynamics CRM it is a beautiful thing. It does a great job of deciding whether something is already a contact or lead and linking to that record instead of just creating a new (duplicate) record. Dashboards that give a graphical representation of the information help to interpret the raw data and in future releases I would like to see improvements to the default dashboards in future releases. Amazing product broad and deep capabilities, but plan on hiring a Microsoft Partner to do some set-up, customization, and tweaking to ensure you get the most out of the solution. Call Amaxra and ask for Jeff, we can help! All in one profile of customer data tells you what, when, and where your customers and prospects are doing. All this information being inside of Dynamics 365 gives your company insights on your customers and prospects that allow you to use targeted highly relevant information on your customers and prospects that can optimize your sales and marketing processes. "A complete experience for CRM Marketing"
The full integration with the Microsoft Dynamics 365 and the email marketing are excellent for professional and fast deployments. In addition, the email campaign marketing allows to implement the marketing strategy and implement it easily via the unique user interface. The surveys that have no option to save your save answers and resume at a later stage. If you are using Microsoft Dynamics 365 or earlier versions of Microsoft Dynamics CRM and you need a professional marketing tool for attracting more customers and increase your sales, then this is the product you are looking for. We create professional email templates in the blink of the eye and the email marketing gives all the statistics and data for analysis and decision making. In addition, the various forms, such as subscription forms and landing pages are awesome for leveraging you sales and marketing personnel for promoting new products and services immediately. "This stuff is THE BOSS of Dynamics 365 marketing Tools." Incredibly seamless integration with Dynamics 365 eliminates expensive manual integrations with other 3rd party marketing providers. The ability to embed web content easily within webpages and track responses and interactions through to leads and against contacts within Dynamics CRM. The power of this product leveraging the already powerful marketing automation base provided to you within Dynamics 365 and configuring business related processes and rules around this functionality. I have not yet seen a marketing automation suite that provides this type of configurable functionality. Even through dashboards and Microsoft Power BI, the most amazing reports can be generated providing your knowledge of Dynamics 365 & the data structure is strong enough. Id recommend that you select the right partner to help you implement this product or you do some good learning within Dynamics 365 that wil help you leverage the true capabilities of ClickD. The product is amazing and when correctly implemented and integrated with the right Dynamics 365 functionality, MASSIVE and AMAZING things will happen! MANY.... We have used Click D across multiple verticals and in multiple businesses to solve a host of problems all the way from emailing out "Email Invoices" to transactional customers to bulk mailing massive marketing lists, tracking web interactions and document downloads (don't ask). 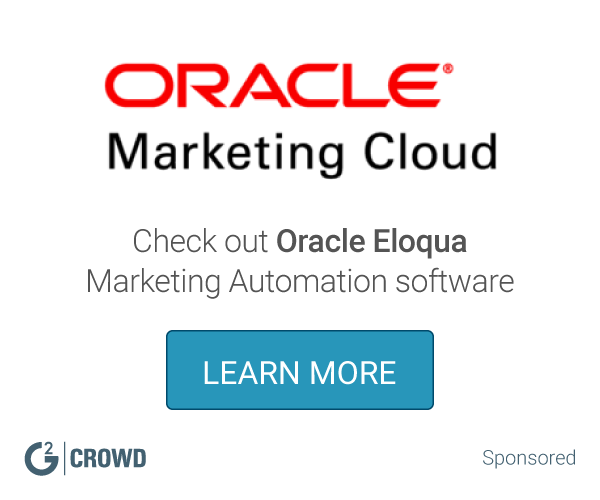 Click D has amazing capabilities but is menat to act as a base for marketing automation. The out the box solution is amazing but once Dynamics 365 is configured correctly around the marketing automation functionality, the most amazing things can be unlocked and achieved. "Best CRM marketing integration with Dynamics"
The integration with dynamics is 110%, so all the data is flowing through our CRM, so we can take decisions from that data. The facility to install and configure, as well as the ease of use at the first steps. Clickdimensions solves the problems with the intergation with Dynamics 365 as occur with other platforms as Hubspot. - Social media engagement. I would like this tool to have the ability to send social posts and do tracking for sites such as LinkedIn, Facebook and Twitter. We utilize ClickDimensions to do general marketing to lists in our CRM. Using this tool is a huge time saver, allowing us to personalize emails and still send to a large list of our active clients. "The best email solution for Dynamics CRM"
Since ClickDimensions is based exclusively on Dynamics CRM there's very deep integration points. The web analytics, email analytics, and more all write back to CRM and provide a great unified view of the marketing efforts. The documentation on the CD site is also very thorough, and their support team is excellent. Initial setup can be a little tricky (adding Cname records to use personalized links, for example) can be a tad tricky, but nothing too difficult if you follow their documentation. The only other thing I've noticed is that it can be difficult to integrate some data from custom CRM entities into emails, but that's also a function of how Dynamics CRM handles the data relationships. Having a unified communications platform with deep integration to Microsoft Dynamics CRM. The benefits are in the ability to manage all aspects of our marketing efforts in a single system instead of splitting efforts between two sites. "Potentially a great tool but experience to date has been poor"
It's full Integration with Dynamics CRM and it's functionality (Email, Forms, website tracking, SMS and more) make it an appealing option for a company wanting a holistic view of their customers' interactions. lack of product stability, product bugs and how it can take a long time to get a solution from support. Poor account management, no response when escalating an issue and material price increases. Be careful, it's full and seamless integration with CRM is alluring but also ties you in. The product appears to be capable and I have heard positive use cases but my experience has been average at best. The product has felt flakey, persistent error messages have prevented access to functionality, significant numbers of emails have failed to be sent, the automated campaign feature had limitations so we could not use it, a product bug with the send date in an automated campaign prevented an important campaign going out at the right time. Support, whilst readily available, takes a long time to come with an answer if at all and when escalating to account manager we received no response. Price changes of around 20% within our first year on the back of the negative experience positions this software as one of the worst software experiences I have had in 20 years. On a positive note, we are continuing to use it due to its integration with CRM and I want it to work! However, if there was an alternative with a similar level of CRM integration I certainly would have moved by now. Email marketing and communication with succinct integration back to client records. "Best solution for marketing automation with Microsoft Dynamics 365 (CRM)"
The full integration with Microsoft Dynamics CRM without a need for opening another application. Also, you can leverage CRM functionality to enhance the capabilities of Click Dimensions and vice versa. Not able to directly market to Opportunities. I would love to be able to put older Opportunities into a nurture campaign, especially for products/services that have a longer sales cycle. If you are on Microsoft Dynamics 365 (CRM) and need a marketing automation platform make sure you look at Click Dimensions. They have a robust feature set today that is continuing to expand. They have a great on-boarding process and training materials plus a fantastic support network and help area. I have helped customers implement Click Dimensions and use most, if not all, aspects of CD from web form submissions, nurture campaigns, SMS messages, surveys, landing pages, and email templates to name a few. We use Click Dimensions internally as well and we have used it for everything from one-off email blasts to nurture campaigns, events, web forms, lead scoring, and surveys. "Excellent Insights to our Potential and Existing Customers"
The full set of features, which is everything from managing web content such as forms and surveys to intelligent, tracked-backed content from targeted emails, to full-blown campaign automation. We have made particular use of launching campaigns with links, when clicked, automatically raise the score of the value of the prospective client, so that we can focus on the people who are most interested in what we have to say. Another feature we made extensive use of is the tracking tokens placed on web pages, because we find it easier to build meaningful charts based on visit data than we do in some of the more traditional SEO platforms. When we combine these sets of data with our campaigns, we get a very rich picture of what is going on with our Marketing efforts. We haven't ran across anything that we actively dislike. Occasionally the amount of time it takes to receive information back takes a few minutes, but we understand that this could be due to outside forces, such as mail queues, etc. If you purchase this solution, make sure you take the time to learn all of the things it does. There are a lot of features and you won't be getting your full value if you don't spend some time digging into things like campaign automation and nurturing your customers. That's great value there, since you can automate your communications in a somewhat personal way. There is no way to send directly out of Microsoft Dynamics CRM or 365 an email with interactive links where the data flows back into Dynamics in the context of the person receiving the email. Also, we would need to code our own solution to drop a form on a website that creates a lead in our CRM. Both of these issues are solved within minutes with ClickDimensions. Also, we are able to build charts for our web site visit data right in CRM, which is helpful when making strategic decisions about the website. "The "Honda Accord" of Marketing Automation - reliable, cost effective and functional"
ClickDimensions is fully integrated with Dynamics CRM, which is a great benefit, in that you are always functioning in one system. Having one database and only having to log into one system is a nice perk. It has some great functionality when it comes to email campaigns and newsletter templates, and nurture campaigns and it is pretty easy to setup and learn to use. There are a lot of training materials, videos, and classes. And they also are committed to rolling out new features every month. We had a couple of small issues, one being the limitation around email campaigns using static lists. We found it a little cumbersome to not have dynamic list functionality, and having to pull a new list every time we sent a campaign. Dynamic lists are supported for bulk emails, but not for other types of communications. I hope they fix that. Also, when we were getting started, there wasn't an onboarding process at all. We were kind of left to our own devices. Which was fine, since we are fairly technical. But for those who aren't, that could be a real pain. ClickDimensions is a solid performer, and offers a lot of functionality for a modest price. It is a good option for mid-market companies with small marketing departments. And it will only get better as they add features. We solved the pain of using the old solution we had, where the content editor was so buggy and frustrating that we had to start over with new templates every time we did something. The content editor in ClickDimensions is very good. And the templates are nice. It is easy to set something up quickly, which we love. Our team is happier with the ease of sending out newsletters and training class blasts, and with getting registrants to our webinars tracked easily. "Excellent product - covers everything you need for marketing automation"
We've been using ClickDimensions for 3+ years. We were very new to the whole world of marketing automation before this - yes, we were sending out customer emails in Outlook! - but the product has really helped us form our strategy and they have been invaluable in helping us get the most out of it. Nothing really. Just make sure you have resources to sign. it's very powerful but that means you have to take the time to learn and understand what it can do. Take the time to fully understand what it can deliver. We are still discovering things 3 years later and we help customers deploy as well. It does A LOT. Outbound communication, touches to our website, understanding interaction from potential leads. I cannot imagine a Dynamics CRM/365 implementation without ClickDimensions. "Marketing automation on steroids - easy to implement, easy to use"
Once you deploy it, you doesn't even know, it is not part of Dynamics 365. It works seamlesly and the best thing is, that it's not only a "email's sender", but it helps you with a full martketing automation. The cooperation with support team and our Partner Account Manager Linda Johnson is more then amazing - it just works. Mostly used to process the leads (from the moment a lead is created, thru the scoring processes, to ready-for-sales stage) from multiple web sources. It helped us to streamline the lead process, to decrease the time needed to quailify the lead and to turn it into an opportunity by 80% and to increase the convertion rates by 50%. "The best marketing solution for Dynamics365 (nee CRM)"
I like that the marketing data is in the same database as other Dynamics365 data. We don't have to sync or export - it's all there and able to be used with any Dynamics365 function. Not much! The ClickDimensions people have continued to improve all the functionality, add new capabilities regularly, and support the hell out of it. There are so many abilities that ClickDimensions brings to Dynamics365 that someone considering CD should also know Dynamics365 inside and out. Or, find a Partner who knows. The scenarios available are best thought through with a real plan and needs in place. We have a much greater handle on who comes to our website, where they visit, what they're interested in, and we can track them through the marketing process. "ClickDimensions is a perfect tool for us and our clients"
We use ClickDimensions primarily for email broadcasts and tracking click back data of prospects and clients. The solution and all the data reside within Dynamics 365 so it's very easy to access -- no connectors needed and it works inside Dynamics 365, very need. We have in different cases worked with the people at ClickDimensions, it worked fantastic, both with us and our customer. We are partners with different consultants and recommend it to our clients. Feedback is fantastic. We need to use email marketing to attract leads and stay engaged with clients, e.g., invitations to webinars and monthly newsletters. ClickDimensions is a great tool for that. The email templates are easy to create and reuse. Saves time for us because we use the tool in different aspect. "Great for Integration with Microsoft CRM"
It integrated very well with Microsoft CRM, and allows us to fully automate our marketing campaigns, taking out much of the manual work we used to do with form submissions and creating leads and updating contacts. It also means we can use our CRM marketing lists rather than having to export data and have data links pushing information back into CRM that never used to work very well. This integration allows us to report more accurately on our marketing campaigns. Some of the tools for designing landing pages and form can be a bit fiddly in order to get them looking nice. We also found some issues with embedding forms, and getting them to redirect how we wanted etc so had to use a work around. There is also no global section to cover all landing pages on the domain do any tracking codes etc has to be added on each page which is time consuming and annoying when things change as have to change each one. Great if you want a fully integrated marketing automation tool that links with Microsoft CRM. The integration with Microsoft CRM has saved so much time and given us the ability to report more effectively on our marketing campaigns. It allows us to quickly and easily communicate with our prospects and customers without having to export any data. "Best marketing automation add-on for Dynamics CRM"
As a Dynamics CRM consultant with deep experience with Microsoft Dynamics, I find ClickDimensions a breeze to use. It uses the same UI as the rest of the Dynamics product, so accessing, using and reporting on the ClickDimensions data is a breeze as it sits within Dynamics itself. The new drag-and-drop Campaign Automation builder is fantastic and allows end users to create complex automated/nurture campaigns with ease. Support quality and response times are great, and Dan Gad, our main contact there, consistently goes above and beyond to ensure that any queries or issues are handled promptly. Pricing is more expensive when comparing PURELY as an email marketing tool, but that's because ClickDimensions does so much more than just email marketing. 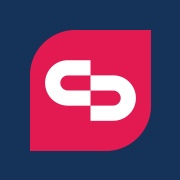 The real benefit of ClickDimensions is that it brings all of the behavioural marketing data (email marketing responses, web visits, form submits etc) into CRM, providing a clear view of the customer's behaviour within one system and allowing automated responses/actions to be triggered around this. The service provided by Click Dimensions is fantastic. Even if you rate your issue as a low priority, the response is still very quick. It's a small niggle, but for a lot of features it takes what seems to be an unnecessary amount of clicks to get from a to b. Take a trial out, use the online resources they've got - there's extensive training videos and articles helping you to get the most out of the system. Having our emails go straight from CRM means we're no longer having to pull off lists of clients from our database to import to an external email client. We can track the results of emails better and the data being visible directly against the company/contact is very useful. "Well-rounded Marketing and Communication Automation Suite for Dynamics 365"
ClickDimensions provides an excellent set of functionality that includes emails, surveys, web forms, web tracking among other options. Being "inside" your Dynamics 365 allows you to leverage the data and combine the two relatively easily. They complement each other very well. ClickDimensions is working on expanding its social capabilities, which is an added plus. It is important to have a phased implementation plan that considers and maps out the use of CD. Being able to track and create Contacts from the web and message to those Contacts throughout their business life cycle is key. The benefit of having the data in Dynamics 365 has allowed for a much easier integration and automation of serving the customer. "Great Marketing Provider for Dynamics CRM"
I've used ClickDimensions on multiple projects that range from sending from a couple hundred emails a month to millions of emails per month. The integration with CRM is extremely easy to use and is 100% completely ran inside your already existing dynamics CRM. This makes it easier for the customers to manage their marketing automation within a system they already understand. At the beginning the biggest struggles were dynamic content was limited to only 4 entities and also the time frame to send emails was long. I believe they have done a lot to improve these features. I have been both a Customer as well as a Business Partner with ClickDimensions and have had great experience with them. The biggest problem click resolved was the complication of using by Dynamics CRM to manage my contacts and leads but then having to go to another marketing program to send communications. With it all being in one place it makes it extremely easy and saves a lot of time. "The only single DB Marketing Automation solution for Dynamics365. " For many years, marketing technology owners with Microsoft CRM have had two options: a. maintain their own 3rd party integration tool or; b. dangle on the whims of their marketing automation vendor's product roadmap for a Microsoft CRM connector (like, cough, Marketo's). ClickDimensions solves this through a native Azure integration. For organizations with Dynamics365 at the hub of their ERP and CRM infrastructure, ClickDimensions is an important consideration for enabling marketing’s collaboration in building pipeline value whether it be measured in dollars, non-profit donations or retention. Organizations who decide not to supply CRM admin support to marketing should steer clear. Day to day marketing operations are relatively easy in ClickDimensions for low-tech users. However, confidence with CRM is required for marketing issues like advanced list segmentation, CRM task automation for lead management and sales person lead queues and views. At an organizational level, ensure marketing users have adequate bandwidth and training for successful marketing operation of ClickDimensions. RSM is dedicated to understanding and helping middle market companies succeed. Our clients' marketing needs span multiple industry sectors and maturity levels. ClickDimensions is typically sold into customers who have recently adopted Dynamics365. These organizations typically want to consolidate data from multiple point solutions in their martech stack so they can enjoy a unified view of engagement across channels and a reporting solution for “best-bet” leads. "Click Dimensions and the pretenders"
in the early days getting support and some glitches in email launches were a challenges, this all has seemed to gotten better with recent increases in the company size .. We like to use advance predictive analytics and high performance BI tools, so pre-created integrations to QLIK, TIBCO, Power BI are just coming to light. "Good marketing solution for Microsoft Dynamics"
The integration with Microsoft Dynamics CRM is certainly a selling point for this product. ClickDimensions plugs right into the CRM platform and automates many of the common functions needed to run marketing campaigns, especially for email marketing. Support response time and ticket tracking has been fantastic and our account manager, Sheila Wamre, is a great resource as needed as well. The email tools are sufficient, but they are immature when compared to other ESPs I have used in the past. ClickDimensions does take user suggestions and they have responded to customer feedback to help build out the interface and functionality and I think they will quickly catch up with other market leaders in the ESP vertical. At times it is frustrating that ClickDimensions is so tightly woven into the fabric of CRM. Inherently, marketing to your contacts and leads is the its function, but I would like to also be able to upload an adhoc list, maybe of employees for example, and load it for a mailing without having match up the data to a contact or lead record. Make sure you fully understand your Dynamics setup and any customizations before you implement ClickDimensions. There is some functionality we cannot fully use due to the customizations we had previously done in Dynamics and that has been a pain point for us, but we have been able to come up with workarounds. We implemented ClickDimensions to enable marketing automation with our Dynamics 365 platform. So far we have been able to save resource time and improve efficiency by being able to pull marketing lists directly from CRM for use with email campaigns in ClickDimensions. Keep in mind that your marketing lists will only be as good as the data you have in CRM. We have been using the drag and drop builder, and while not has robust as creating content directly in HTML, we have been able to produce nice looking email templates and layouts that serve our needs well. We have only been using ClickDimensions for about six months as of this writing so we are still learning and testing and developing out new functionality so how we use the tool today may not be how we are using it in another six months. "Great customer service and support"
Overall the most impressive part of Click Dimensions is the customer service which is fantastic. Whenever you get a opened case they do not stop till its resolved! I think the only issue is the cost based on sending emails which does scale quite dramatically. The only issue again is that when we renewed the price increased by around 35%- as they just decided to put the prices up with no prior warning. I only wish the price could be slightly lower this is because we are a non for profit organisation. But taking that out of the review the company are fantastic- the support is amazing- probably one of the best support systems that exists currently. Being able to contact all our contacts and members in mass as well as being able to track event sign ups via eventbright. Its defiantly easy to use and if you ever run in to any problems the support team is always ready to help and in most cases they are able to solve issues immediately but if not they get in touch 2-3 times a day till its resolved. The user interface is also quite easy to use and there a lot of options to get the most custom email to getting something rolled out quick and simple using the drag and drop editor. "Dynamics 365 customers LOVE ClickDimensions"
With the addition of campaign automation functionality, ClickDimensions gives my customers everything they need to run their campaigns successfully. The fact that ClickDimensions does not require any type of integrations, allows Marketers to manage campaigns, without having to worry about innacurate data, multiple sources of records, and managing mutiple systems. ClickDimensions has been building out their social posting and curation features, however currently they lack behind other competitive solutions in the market. ClickDimensions has made recent announcements around planned functionality to address these gaps. With so many solutions for Marketers to choose from, ClickDimensions is sometimes overshadowed by other solutions with similiar functionality. For Dynamics 365 customers evaluating Marketing solutions, include ClickDimensions in that evaluation. I recommend ClickDimensions for customers looking for a robust Marketing platform as part of a holistic Sales, Service & Marketing offering. ClickDimensions offers today's modern Marketer the technology they need to engage customers and drive revenue. With ClickDimensions, typical silos between other parts of the business like Sales or Service, are removed and Marketers are able to control their customers' journey through each and every touch point, ensuring an amazing customer experience. "Best integrated Marketing Automation solution for Dynamics 365 (CRM)"
The solution is fully integrated in the CRM solution. This allows for easy adoption by marketing an sales teams. Segmentation capabilities are endless because of the way the solution sits inside of CRM and no need to manage multiple databases. As a Dynamics 365 systems integrator, we can easily extend the functionality with workflows and specific business processes because of the deep integration with CRM. Need to have more offerings around social media integration and pull into campaign automation. Also extending the functionality around lead scoring. Both I believe are on the road map. I have recommended and help implement ClickDimensions across multiple projects and industries. In one project or another we have utilized every feature in ClickDimensions from web for submissions, website tracking, campaign automation, events creation, and SMS messaging. One of the key takeaways is the capabilities to create true campaign reporting and ROI metrics on marketing campaigns. "A Must See For Every Marketer"
Never export a list again! So many businesses rely on their CRM to just export their data into an excel sheet. It gets tricky when you have to manage CASL rules (for Canadians) or general unsubscribes. Everything is tied together. When your contact attends an event, when they fill out a form to download an e-book and more! It will change any marketing department for the better. There are some features that might not be useful for everyone. With ClickDimensions you get things like Landing Pages, which might not be useful for a business that manages their own website (and they're also not mobile friendly). Consider how your business would benefit if everything existed in a single system. With data living in a single place you can really enhance the view you currently have of your customers. Sales and marketing are more closely related than ever. With ClickDimensions the bond gets tighter and the lines between sales and marketing blur. Sales gets the benefits of marketing's efforts and the two work together seamlessly. Click Dimensions is very simple to use. No complaints. It works very well and integrates well with Microsoft Dynamics. It's a very intuitive solution to be using, and I haven't experienced any bugs with it. It just works! There is nothing about the product that I dislike. The solution does everything it says it does, at least for the way we use it at my organization. Simple email sends. We use ClickDimensions for daily newsletters and advisories. ClickDimensions' integration with Microsoft Dynamics gives us a simple way to reach our clients and others who are interested in our work. There's not much I can say about this product which is positive. Constant breakdowns, fatal errors, slow speeds, you name it. Originally I liked the campaign automations feature as the builder made it easy for it to do automations, but then it just kind of stopped working. Processes - was warned by tech team to not use them as it would "cause the entire software to crash", mainly due to poor resource management. Slow, wouldn't start straight away so can't be relied on for fast automation. Campaign Automations - so many errors. Cloning an automation gave me a fatal error 100% of the time, I presumed mainly because background processes couldn't keep up with creating all the parts. I asked support and they couldn't solve this issue. Publishing campaign automations would just cause them to be stuck sometimes, and half the time I can't even get the builder to load. Granted a lot of the issues I had was an internal IT issue with their processes and permissions, but just using it gave me rage issues. Every now and then I would get a fatal error which can be solved by signing in and out again, so it appears to be a session issue, but for it to do it whilst I'm working on something is somewhat of an issue. Loading speeds - I have colleagues from different parts of the world with a common problem: Clickdimensions isn't loading. Accessibility in china - Pretty much 0% of it working there. Load times were atrocious. I had to create form captures and code out all forms manually in HTML, which took away days of my life. Support also warned us that email deliverability in China would be bad and pretty much all marketing features won't work properly there. Don't. Seriously, just try it and then try another one and you will see that clickdimensions is seriously lacking in quality. We were trying to automate our marketing processes, and none. There were no benefits. "ClickDimensions fan from the beginning"
Still the best feature of ClickDimensions is that it uses Dynamics 365 as a platform. No separate marketing tool, but the application that holds all your relation data can also be used for extensive marketing activities. The basics are excellent and very easy to use. But, it is not (yet) as extensive as some of the other (email) marketing tools are. But with updates coming very often, it gets better and better each time. In every single project I've done involving ClickDimensions, our customer was looking for an easy to use marketing tool; either to professionalize their marketing efforts, or to replace an existing but separate product. "Dynamics 365 Marketing Automation as it should be"
Having used multiple platforms for marketing and HTML enriched email, I can safely say that ClickDimensions is the best marketing automation tool for Dynamics CRM and 365. I've implemented other solutions including CoreMotives, Microsoft Dynamics Marketing and integration with MailChimp and the best solution with the best customer adaption is ClickDimensions. It lives inside the system so users feel like the UI is familiar. It's great for clicks, soft/hard bounces, webform capture and campaign automation. The key selling point? Support and training. Cannot commend enough the support team for their quick assistance, and the training team (and account manager) who help simplify the transition process and help drive up user acceptance of the solution. We resell the product, but we also use it internally so we can say first hand how the product is. Engage a partner with ClickDimensions to help assist in the user transition and adoptability of the solution so that you have feet on the ground in addition to their support. Make sure as a customer you outline your process clearly and concisely so that both the partner and ClickDimensions can guide you in the right direction, though to be fair ClickDimensions are fairly good and wiggling that out! "Second to none for Dynamics 365 Integrated Marketing Automation"
The simplicity of the tool, yet the vast array of ever-improving features and integrations makes ClickDimensions a total joy to use. As a Dynamics 365 partner, having a tool that is inherent to the Dynamics platform that satisfies all the requirements of marketing and communications stakeholders (and often much, much more) ensures that training is quick and adoption is high, providing great return on investment. The support is free, quick and clear. Our Account Manager, Dan Gad is great at turning round quotes, assisting with demonstrations to clients and keeping us up to date with the benefits of features released on a monthly basis. We have found there can occasionally be delays with the statistics being available in Dynamics out of the back of an email send or other external marketing activity, but patience is a virtue, and the level of granularity that is presented is worth the wait. It can be hard to position internally, as cost-wise it's difficult to compare against other platforms. I has a vast amount of features and functions, but can often be compared to simple email editors that have a smaller cost per send. Having a good idea of communication channels, customer journeys and a decent amount of content is vital to its success. "Still the best for Dynamics 365, not perfect"
When it comes to lead generation and e-mail marketing with an out of the box integration with Dynamics 365 there is only one route to go: ClickDimensions. On top ClickDimensions offers good support by their support staff, website and free (training) webinars. And last not least they a great accountmanager here in Europe by the person of Linda Johnson. Ok, more the technical stuff. Web form could be better optimized for European data input, subscription management, speed of date synchronization not constant. Still the best yet. Not sure whether it is an Enterprise product. E-marketing, web lead generation, content marketing. I could go on and on about the features that ClickDimensions offers. From email campaigns to newsletters and survey's and integrating seamlessly with Dynamics 365. But what I found to the best feature was the online training videos and the ease at which the product can be picked up by a novice. This is what I truly think ClickDimensions has hit over the fence. For the 2 years I have been using the product, I do not really have any negative comments to voice at this time. Automating and organizing activities. Planning marketing campaigns to deliver targeted messages. "Great communication tool that also helps us streamline our processes"
It's very simple to use - training users takes no time at all, and it is very effective. The occasional time it hasn't worked, and we've urgently needed to send some communications out. Their support is really good though. This is a very powerful product that has managed to simplify admin and setup considerably. Getting the right communications to the right people, which ensures that everyone is up to date, and makes sure we don't send unimportant info to anyone. We also streamline a number of processes internally using clickdimensions and the integration with Dynamics CRM online. "Good experience with Click Dimensions"
I like the ease of creation of email templates. The different ways to create an email are helpful when creating an email from scratch or using HTML code. The HTML code doesn't work well and creates a lot of stress. Especially if you use a template regularly, it is frustrating because the code will work one time and then not another and you constantly have to fix the template. I have completely stayed away from the HTML creator because of this. ClickDimensions is a great tool. There are a few flaws such as the HTML creator as well as the ease of use of the analytics, but the rest of the software is easy to use. Being inside of CRM makes things much easier in order to give access to other users in the company. It creates an ease for everyone to see everyone else's projects that they're working on. "Great marketing Automation Platform for Microsoft Dynamics"
ClickDimensions is a great Marketing Automation platform if you've just started your journey of building automated marketing. The system is very intuitive in terms of usage and integrates perfectly with Microsoft Dynamics. In particular I think it's worth mentioning the email template builder which is one of the better I've come across in my time using marketing Automation platforms. It's hundred percent a system where everyone can join in and learn it fast. I have as a matter of fact recommended this system to other businesses who are about to go live with Microsoft Dynamics. ClickDimensions is great and deserve to get a shout out. We only changed the syste, because we went from Microsoft Dynamics to Salesforce and wanted a seamless integration with Salesforce. Exactly like we had experienced with ClickDimensions. I'm looking forward to see what ClickDimensions will develop in the future, because they're certainly on the right path when it comes to marketing automation. Some of the other vendors could learn a thing or two from them. Whilst ClickDimensions has some absolutely fantastic features, it does seem to be one of the more low-key platforms compared to other marketign automations. It excels at doing basic marketing automation, but I wouldn't use it for a massive eCommerce or retail business for example, then I would upgrade. But working in B2B getting in to marketing Automation it's absolutely great for that - given you have Microsoft Dynamics. For us it was crucial that it integrated well with Microsoft Dynamics, and for that particular reason we ended up going for ClickDimensions. The implementation process was seamless and we got the entire marketing team on board very quickly. By having an integrated solution with our CRM system, meant we could pass on hot sales ready leads directly within the CRM system to the Sales team - this changed the business completely. "Embedded Marketing Automation for Microsoft Dynamics 365"
The fact that ClickDimensions is not merely integrated with Dynamics 365 but embedded within the interface which avoids the need to synchronise data or configure other aspects which are inherent when two data sources need to be connected. ClickDimensions has a great breadth of advanced functions yet is intuitive an very accessible to non-technical users like myself! Nothing that I especially dislike. A few additions that I'd like see are on the roadmap for release soon. The challenges that we and our clients are solving with ClickDimensions are in sending increasingly personalized and timely messages that increase recipient engagement. Another crucial consideration for us in the UK is GDPR compliance and by tracking email consent in Dynamics 365, ClickDimensions helps to transparently demonstrate this. "Promising features - but breakdowns, poor support & bugs make it not worth the investment." offers good integration with MS Dynamics as an inbuilt EMS with promising capabilities. Bugs (presently facing weeks long issues with web forms: causing huge data losses for marketing initiatives). Support has no idea/timeline for bug fixing and rarely offer definitive responses. Consider alternatives with the same features. Was purchased for: Email Marketing, nurturing, lead scoring & web form use. The breakdowns/glitches (we haven't even been able to do a simple A/B test with this without the system going haywire. And while their team is happy to offer "a free month of Click Dimensions for your business" to make up for these issues - it doesn't justify the damage to business initiatives (and brand). "Fully integrated with Dynamics 365"
Somehow the monthly costs are more visible than for example salary costs, but if we look at the business case, it's a very smart decision to start using ClickDimensions . Investing time and money in a website and portal does not make sense if you do not monitor who is visiting your website. ClickDimensions is the right tool to do so, if you make use of Dynamics 365. "Easy to Use and Works Well For Our Needs"
The set up was quite easy and we had a account rep that took us through and answered all of our questions. Now it's just creating new templates for the most part. Sometimes we have delays in getting information back (stats), but that is mostly due to limitations on data that our CRM has in place as we only allow a certain amount of data to be posted so it doesn't cause latency issues in our CRM. We're able to send to both email address 1 and 2 and have different subscription preferences on both. We were not able to do this before. The subscription center is customizable and you can have as many as you want. The fact that it integrates smoothly with Microsoft Dynamics CRM. It's really easy to use, especially the email template editor. Statistics provided through each campaign is also really great. As statistics is really important to us, there can be a delay on this. But it is a minor issue and the delay isn't very long. Having this marketing tool right there in our CRM makes it easy for us from having to go through another program/application for assitance. "Straight Forward CRM Marketing Management"
Click Dimensions gives us a platform to build extensive marketing analytics. For a relatively small investment organizations receive a large return and features similar to enterprise level marketing tools. When deployed correctly for your organization Click Dimensions can reach enterpise level functionalty. Make sure to find a proven partner to assist as the benefits of a good deployment are key to ROI. * We monitor all ClickDimensions reviews to prevent fraudulent reviews and keep review quality high. We do not post reviews by company employees or direct competitors. Validated reviews require the user to submit a screenshot of the product containing their user ID, in order to verify a user is an actual user of the product. Hi there! Are you looking to implement a solution like ClickDimensions?